Welcome to WAVERLEY WEST, the exclusive representative of Waverley Scotland's unique products in the United States. 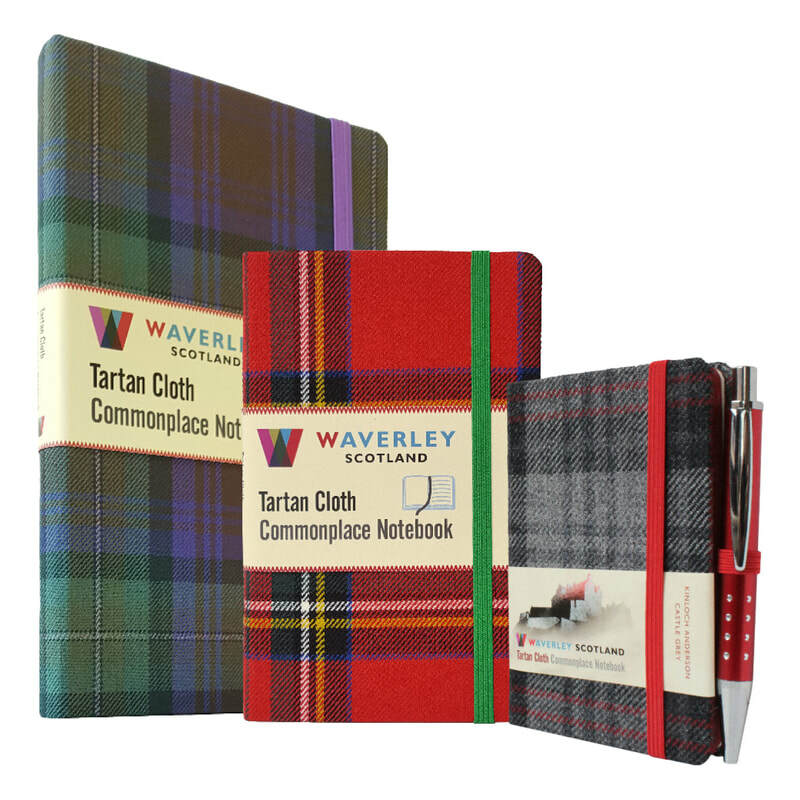 These designer quality notebooks and journals are made from genuine tartan cloth woven to exacting standards in mills in the United Kingdom. 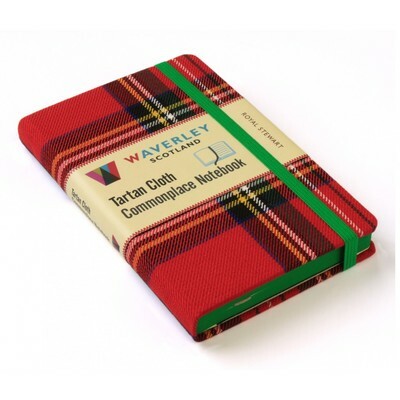 The pages and paper components are made with acid-free paper from sustainable forests. 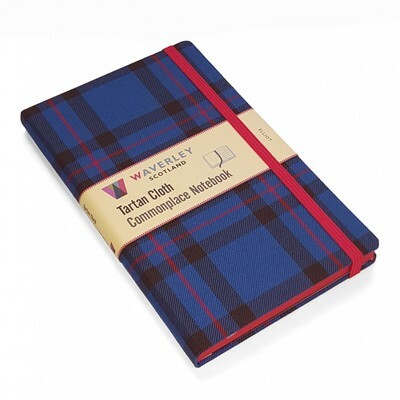 Boards used in the binding process are made of 100% recycled paper. 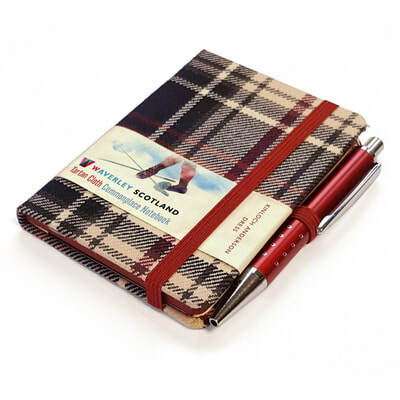 And each item features an elastic closure, a ribbon marker, eight perforated end leaves, an expandable inner note holder, a removable booklet about the history of Scottish tartans, as well as a bookmark with information on its specific tartan. Free shipping is available for orders of $15+. 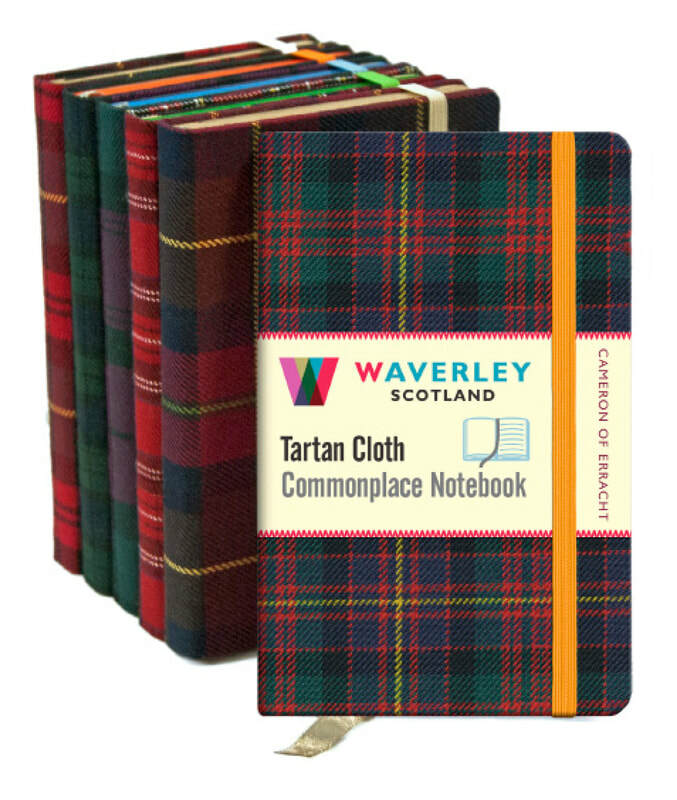 The larger journal, in ten stylish tartans, is twice the size as the pocket journal, and with more pages, perfect for writing at length while at home or traveling. IT'S ARRIVED! 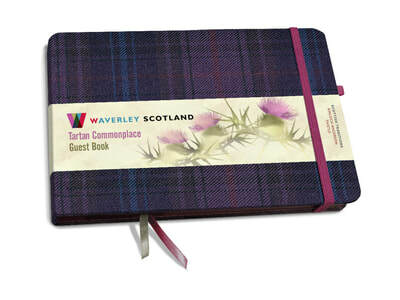 THE THISTLE TARTAN WEDDING BOOK. QUANTITY LIMITED, ORDER NOW.